There is a lot to love about Texas. Texas is known for its unique flavors. In Texas, we have barbecue, Tex-Mex, and a variety of flavors from the Old World. This post is sponsored by Ozarka® Brand Natural Spring Water. Only Ozarka® water is made from 3 springs in Texas for that unique Texan Taste. I left Texas a few years back for a while and went back as quickly as I could. There are so many things I love about where I call home. I live on the north side of Houston, in an area they call Kingwood, Texas. Kingwood is known for having lots of trees and being a large community of people that love our environment. I live right close to Lake Houston, so that means lots of opportunities to enjoy the beautiful lake, lots of small communities around the lake that you look for all sorts of antiques, and we have all kinds of restaurants nearby that serve up a variety of food. 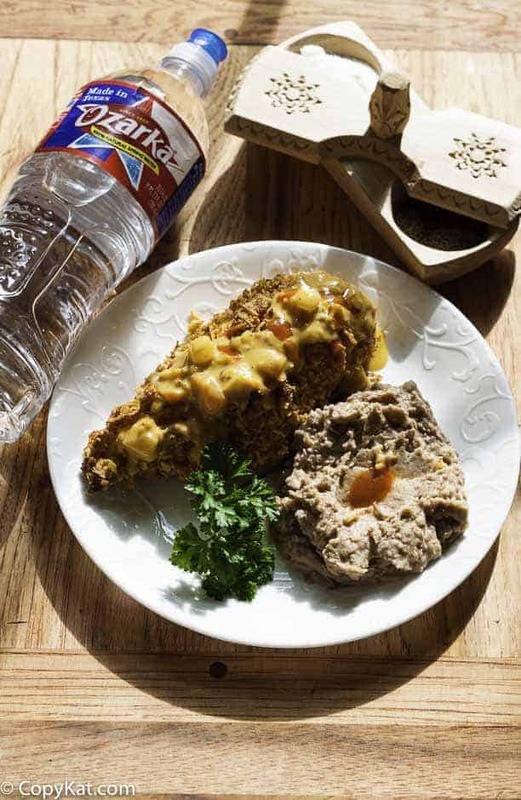 There are a lot of great food products that are uniquely Texan. 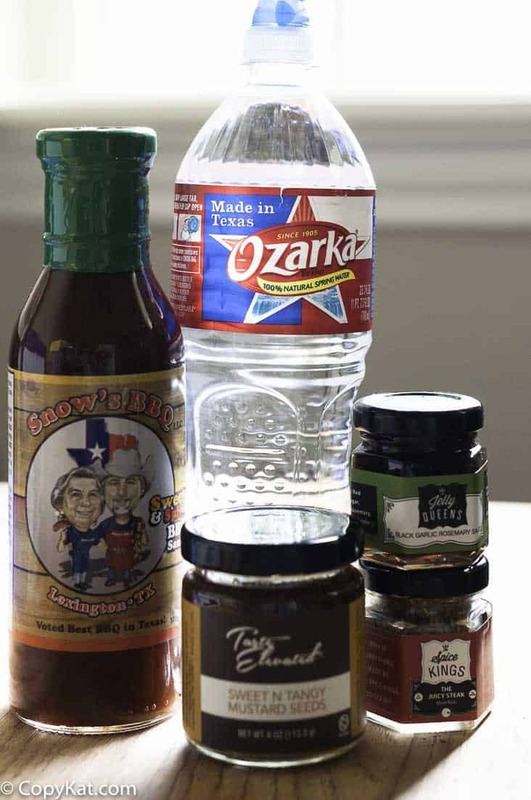 I recently received a box of all sorts of specialty items from Texas. Snow’s BBQ Sauce – Texas Monthly magazine rated this the best sauce in Texas. No one knows Texas Barbeque like Texas Monthly magazine. food company that makes gourmet jams, jellies, spices, sauces and more. Each product is handmade in small batches using organic and, whenever possible, locally grown Texas ingredients. The Jelly Queens was born out of love for sustainable food, delicious flavors and words of encouragement. Sweet & Spicy Mustard Seeds – These little flavor-packed pearls are absolutely addicting. We cook them to make them just tender enough to burst in your mouth. Then we add a little sweet and a little heat. Add them to a charcuterie tray to surprise your guests, use as a condiment–any place you use mustard (you’ll love it on bbq sandwiches and hot dogs), pair with main dishes–terrific with meatloaf, use in homemade vinaigrettes! Paqui Tortilla Chips – Paqui sells great tasting tortillas and tortilla chips that are crafted with unbleached, untreated flour, or by stone grinding corn and adding mouth-watering flavors using high-quality ingredients, such as fire-roasted jalapenos, fresh cilantro leaves, buttermilk, pumpkin and other spices and flavors. Yellowbird Sauce – Totally natural, spicy pepper condiments. Made with ♥ in Austin, Tx. These are the most delicious, most versatile, most satisfying condiment that will ever hit your lips! 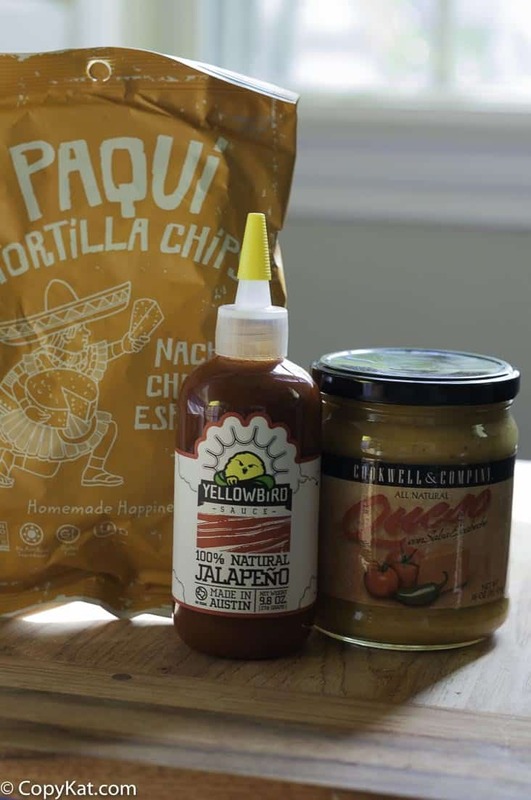 Yellowbird Sauce goes great on tacos, burgers, wings, sushi, pasta, steak, fish, eggs, pizza, soup….anything you can think of! cheddar and blue cheeses combined with fire-roasted tomatoes, onions, diced jalapeños, and fresh-squeezed lime juice to create simply the best and authentic queso you can buy. Cookwell & Company is located in the heart of Austin, Texas. These guys wear boots to work and boast three grills and a smoker at their office. I put together a creation using several of these ingredients, and I think you are going to love this Tex-Mex dish. Chicken stuffed with cheddar cheese and then encrusted in Paqui chips, topped with Cookwell and Company queso, and a drizzle of Yellowbird Sauce. Served up with a crisp and refreshing bottle of Ozarka® Brand Natural Spring Water you have an excellent meal. Looking for more great recipes using chicken breasts? Look no further! 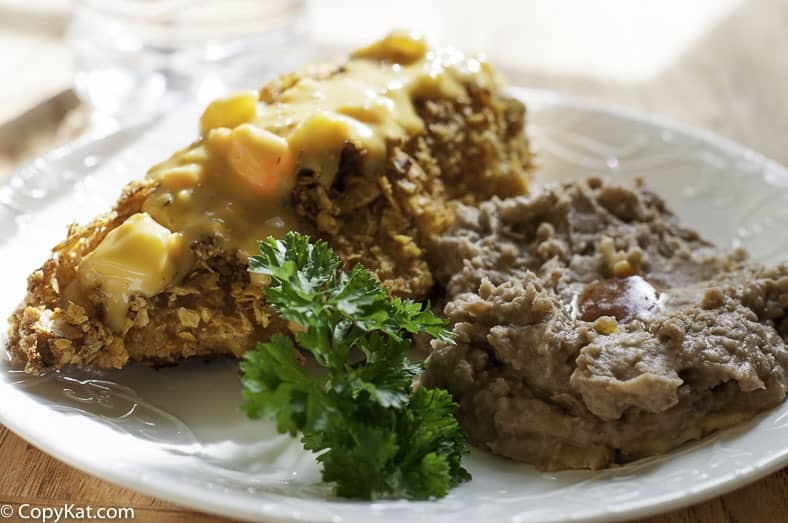 Texas Cheesy Stuffed Chicken is a great take on an ordinary chicken breast. Preheat oven to 350 degrees. Spray a baking pan with non-stick spray.Using a sharp knife cut a long narrow cut into the chicken breast, this will be to stuff the cheese into the chicken breast. Cut the chicken conservatively, you will want to cut it only large enough to place the cheese into the chicken. Stuff about 1/2 ounce of cheese into the cut. I like to use block cheese and cut the cheese into small sticks. Season all four chicken breasts with salt and pepper. Make an egg wash with the two eggs and one tablespoon of water. Dredge the chicken in egg wash, then roll into crushed tortilla chips. Lay the chicken onto the baking sheet. Bake the chicken for about 20 to 25 minutes or until the chicken is fully cooked. Drizzle warm queso on top of the chicken and add as much Yellowbird hot sauce as you desire.